Providing world class office space, meeting room hire and an innovative coworking area in the heart of Australia’s largest shopping centre means you can have 24/7 access to your own stunning space, putting your business in a league of its own. Being the home of Melbourne’s fastest growing business community, our dedicated community managers ensure that your business has all the resources you need to succeed. Come say hi and experience a whole new side of Chadstone in our bold and energising space. 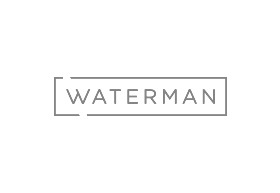 The entrance of Waterman Chadstone is located outside between David Jones and Capital Kitchen.